It is important for students to practice reading at home and not just at school. It improves fluency, vocabulary and comprehension. Many parents might not know how to help their child. This Parent Guide for Reading is a great resource for parents to help their child practice and improve their reading skills at home. It comes in two versions: Grades K-2nd and grades 3rd-5th. 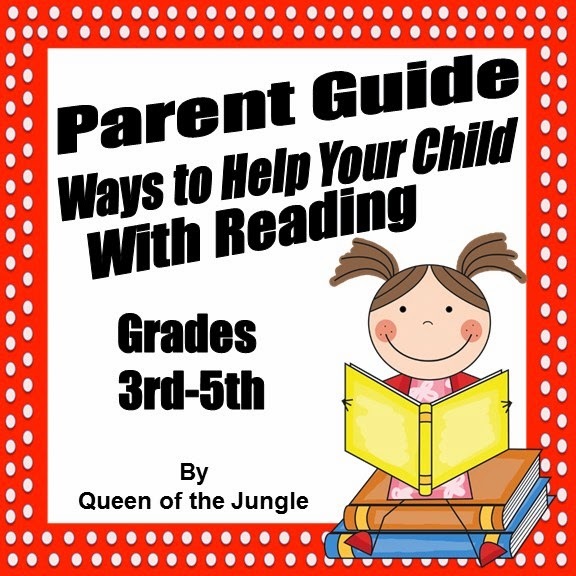 The two page handout includes comprehensive tips on what parents can do to help their child with reading. Also included is an At Home Reading Log to encourage students to read 15-20 minutes each night. Parents and their child can log the books they read each evening. Parents can sign and return the log to school. for students to collect credit or a reward.